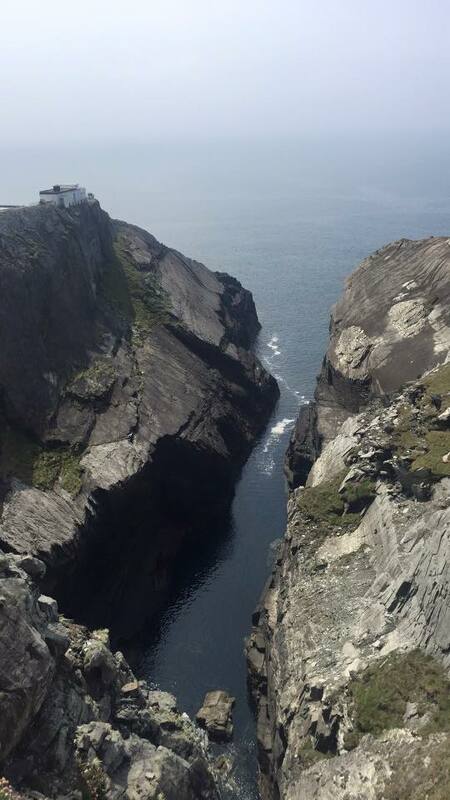 Mizen Head and Barleycove are two spectacular locations down in the most Southerly parts of Ireland. The waters here team with life and in the summer particularly it is not unusual to see whales, basking sharks, seals and a plethora of birds with regularity. 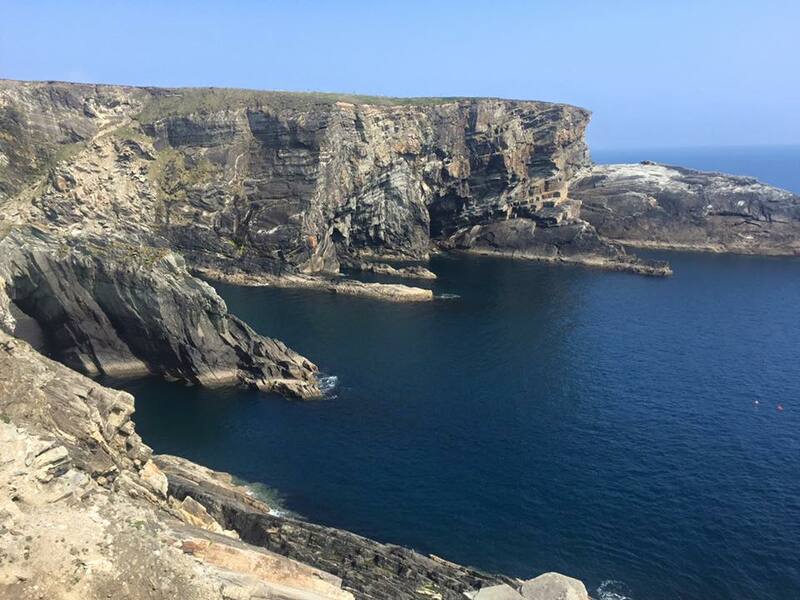 Mizen Head is drenched in history and has played a significant role in the culture, development and pride of the local community. 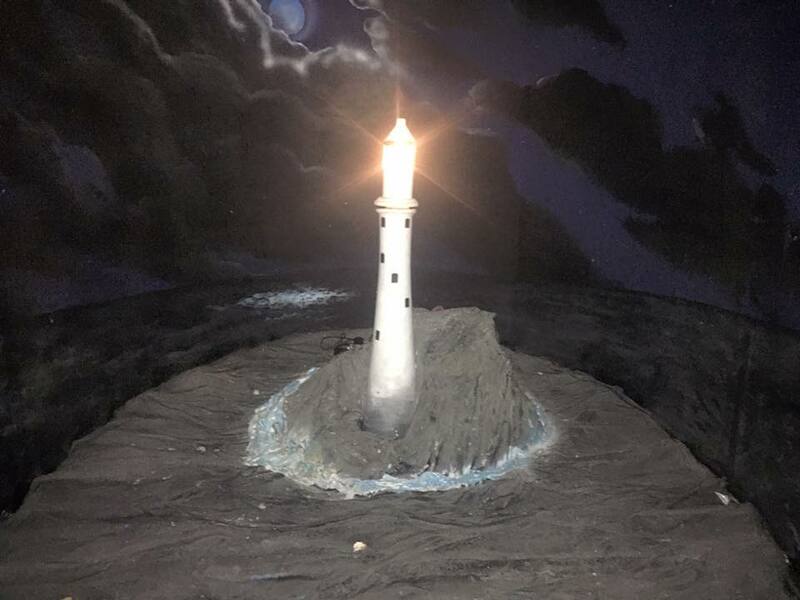 Replica of the Fastnet Lighthouse, the ‘Teardrop of Ireland’. The Irish Lights Board decided to build a lighthouse on Fastnet Rock as the Cape Clear island lighthouse was too far inland. This was the first landfall after America and was called the ‘Teardrop of Ireland’ as it was the last place that Irish emigrants saw when they left Ireland. The first lighthouse was built in 1854 and lasted till 1891 but had to be replaced as it was made of iron and was unable to withstand the merciless fury of the Atlantic ocean. It was rebuilt in 1899 using Cornish granite and was completed in 1903. Each block of granite weighed 3 tonnes and were interlocked for maximum strength and protection. In 1906 the Board of Trade along with the Irish Lights Board decided to build a fog signal station on Cloghane Island, Mizen Head. In 1909 the fog signal was established and in bad visual conditions the keepers manually set off a charge of explosives at 3 minute intervals. The arched bridge was built between 1908-1910 to connect the island to the mainland. The design was picked from a competition that was run to create the best bridge. 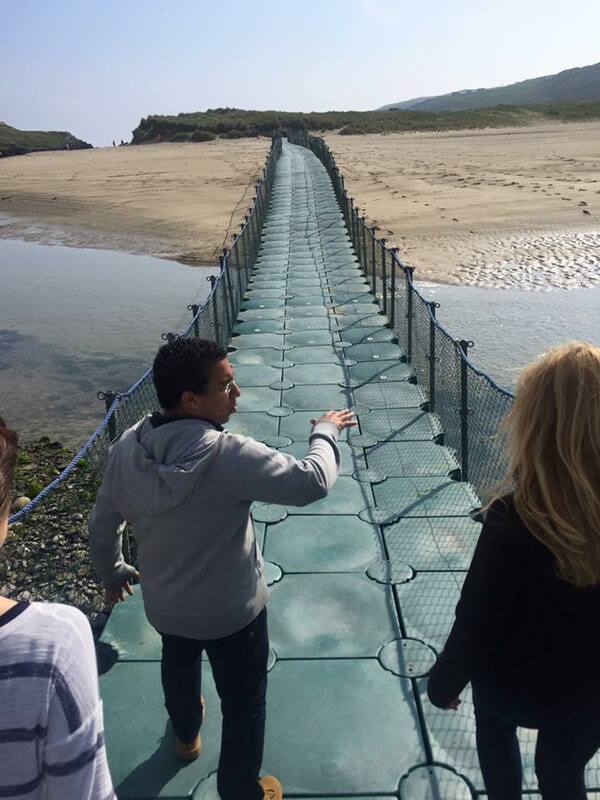 The bridge is 172 feet (54 m) across by 150 feet (50 m) above sea level. As far as the eye can see, next stop America! 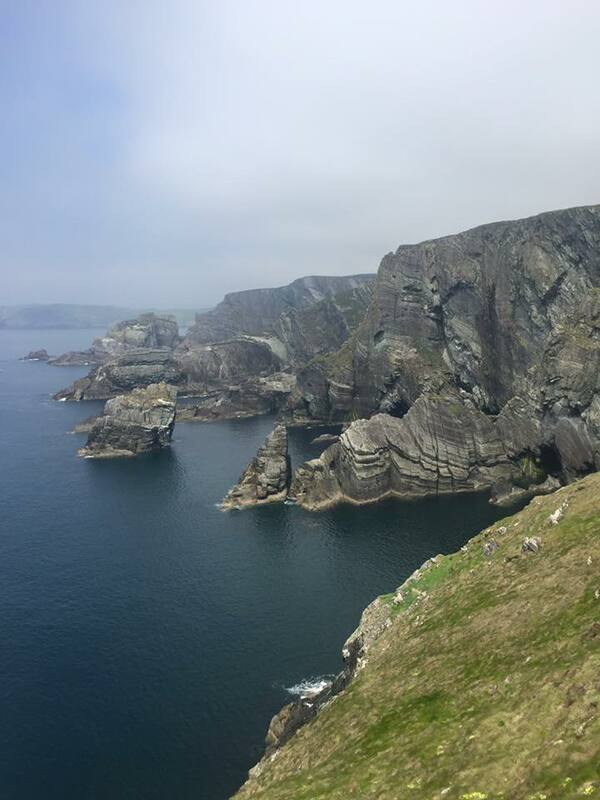 In 1931 a wireless beacon was installed at Mizen Head and in 1959 a light was placed on the rocks at the end of the head at a height of 180 feet (60m) with a range of 13 miles in clear weather. The fog signal was discontinued in the 1970’s when sonar and satellite navigation (GPS) took over. Mizen Head Signal Station has participated in the whole history of radio communication. The local village of Crookhaven was the first and last port of call for ships going between Northern European ports and America. The ships stocked up on fuel and provisions before tackling the Atlantic ocean. A flurry of small boats would meet the arriving ships, swarming around them to get business. Lots of these boats came from the UK and were commisioned by Reuters and Lloyds agents. Reuters and Lloyds agents had flag signalling and semaphore equipment up on the nearby headland of Brow Head to communicate with passing ships. At the end of the 19th century there were so many boats in the harbour that you could walk across the decks from one side of the bay to the other. Up to 700 people lived and worked in the village during this period. 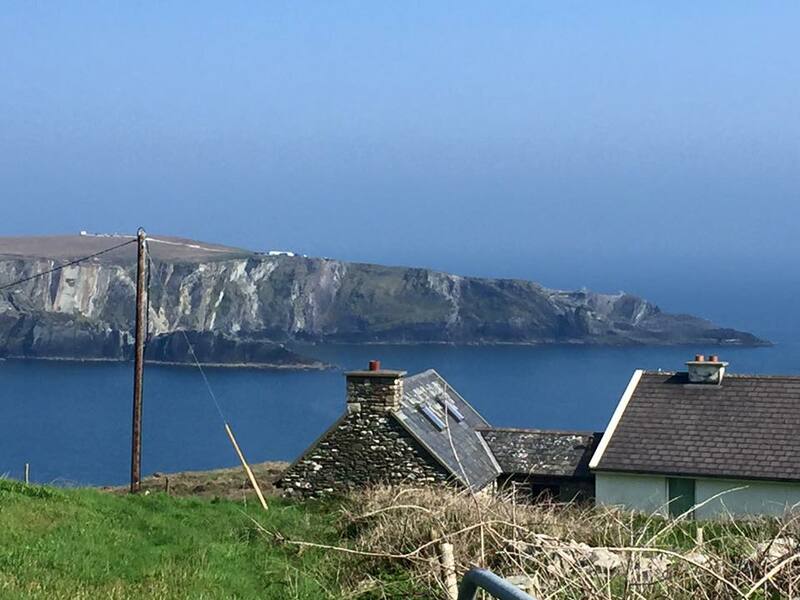 Currently there are only 29 permanent residents living in Crookhaven. Local house overlooking to Brow Head. The most Southerly part of Ireland. The signal station at Mizen Head was automated in 1993. 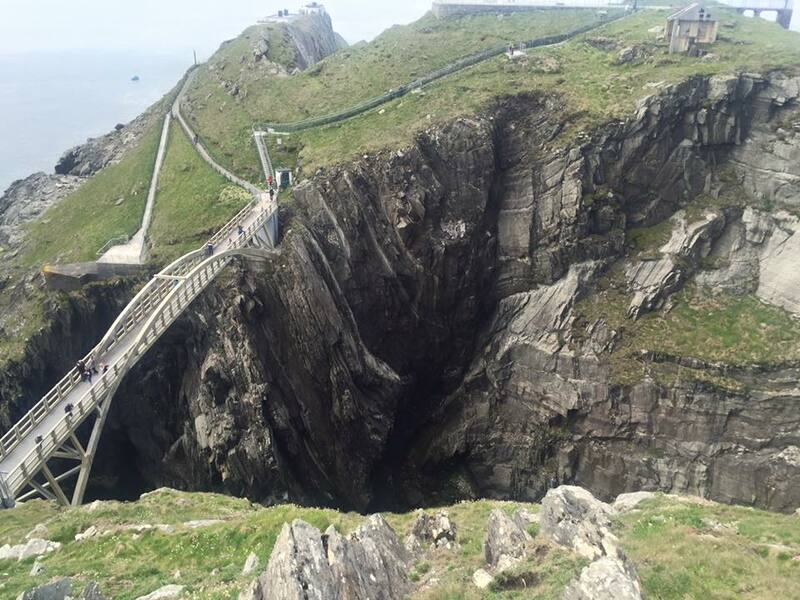 The same year with a lease from the Irish Lights Board and with funding from the rural development LEADER programme, the local community of Goleen decided to reopen Mizen Head as a tourist attraction. Murphys, West Cork Bottling, Cork County Council and Ford helped match the funding to open the centre to the public. This attraction is now internationally renowned and has hosted over a million visitors! The dreamy, beautiful Barleycove beach was formed under auspicious circumstances. The sand dunes there were thrown up by a tidal wave that swept through Europe after an earthquake in Lisbon in 1755. Today the dunes are now partially eroded but the beach and surrounds are designated as a Special Area of Conservation. It is host to a diverse range of habitats and wildlife that preside in and around the sand dunes. The fancy bridge at Barleycove.